Bullen AirX Spray N Roll II w Spray N Go Special Offer SKU#RX-SprayNRollNGo-20G - SPECIAL OFFER INCLUDES AIRX 1 SPRAY N ROLL SYSTEM WITH 5 CASES (20 GALLON CONTAINERS) OF SPRAY N GO DISINFECTANT & ODOR REMOVER. 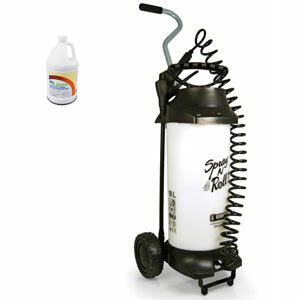 "The Most Cost-Effective Wide Area Disinfecting System On The Market"
AirX Spray N Roll II Dual Tip Disinfectant Pump Spray System is a manually pumped Disinfectant Spray System designed for use with AirX Spray N Go Hospital Use Germicidal Disinfectant, Surface, & Sub-Surface Odor Control Formula. This one-step germicidal cleaner and odor-counteractant is designed for general cleaning, disinfecting, and deodorizing of hard, non-porous surfaces. It quickly removes dirt, grime, food residue, blood and other organic matter commonly found in hospitals, healthcare facilities, medical surfaces, veterinary surfaces & animal holding areas, athletic facilities & gym equipment, grocery carts, bathroom fixtures, cabinets, chairs... 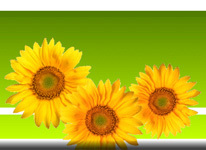 It contains AirX Airicide, which eliminates odors, leaving surfaces smelling clean and fresh. The AirX Spray N Roll Pump Spray System will enable you to quickly clean and disinfect your facility for one third the cost of electrostatic sprayers. This spray system runs for about 20 mins on a manual pressurization cycle and requires no batteries, allowing unlimited use with no charge time to worry about. The tank holds 2.5 gallons of Airx Spray-N-Go Disinfectant, which will treat up to 25,000sqft per tank using the provided spray tip. AirX Spray N Go Disinfectant Cleaner & Odor Control Formula is a proven sanitizer on soft surfaces, it cleans and disinfects hard non-porous surfaces, removes tough stains, and contains AirX Airicide that eliminates odors, leaving surfaces smelling clean and fresh. This Hospital use germicidal cleaner is 99.9% effective in 5 seconds against Staphylococcus aureus (Staph) and Klebsiella pneumoniae on hard surfaces. Sanitizes Enterobacter aerogenes and Staphylococcus aureus in 2 minutes on soft surfaces. Removes mildew, Aspergillus niger in 10 minutes. Effective Against Enveloped Viruses: Human Immunodeficiency Virus Type-1 (HIV-1) and Avian Influenza Virus (H5N1) NIBRG-14 in 30 seconds, Hepatitis B Virus (HBV), Hepatitis C Virus (HCV), Duck Hepatitis B Virus (DHBV), Bovine Viral Diahea Virus (BVDV) in 1 minute. Also Effective Against Non-Enveloped Viruses: Human Rotavirus in 1 minute, Feline Calicivirus, Norovirus (Norwalk Virus), Canine Parvovirus, Rhinovirus Type 14, Rhinovirus Type 39 in 2 minutes and Poliovirus Type 1 in 5 minutes. Special Offer Includes 1 Spray N Roll Spray System and 5 Cases (20 x1 Gallon Containers) of Spray N Go.